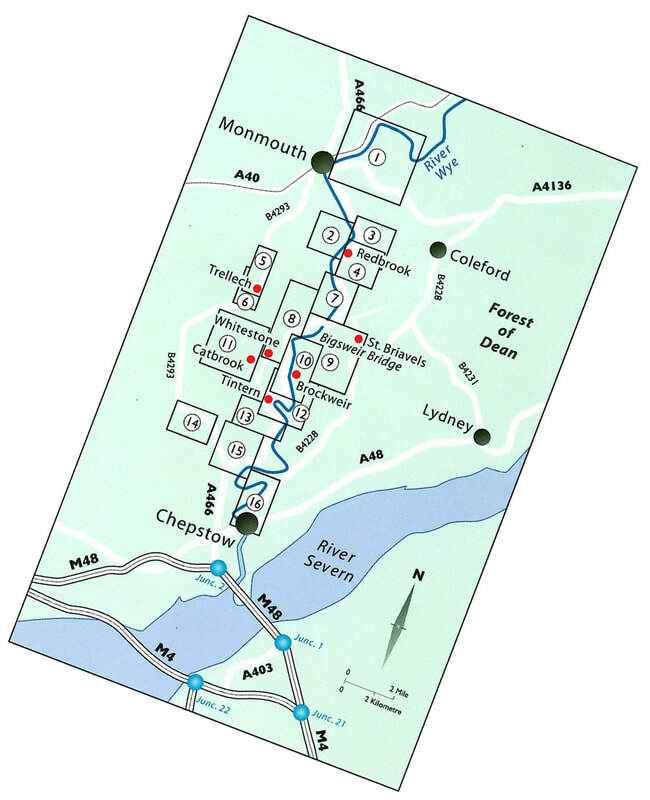 Chepstow's 2019 Walking Festival Programme is now available - click here to find out more, or use the buttons below to go direct to each day's walks and events programme. The programme includes walks for all capabilities and this year we are delighted again to be partnering with local experts from many different fields who will help us explore the scenery and heritage of this beautiful part of the world. Our volunteer walk leaders are polishing their boots, checking their routes and getting ready to welcome new and regular walkers. We welcome back Greenman Backpackers Hostel and Chepstow Round Table as Festival sponsors, along with The Living Levels Landscape Partnership who are supporting the Festival with walk leaders and transport funding. Monmouthshire County Council have kindly agreed to provide car parking for Festival Walkers and booking facilities through Chepstow Tourist Information Centre. Thank you all! 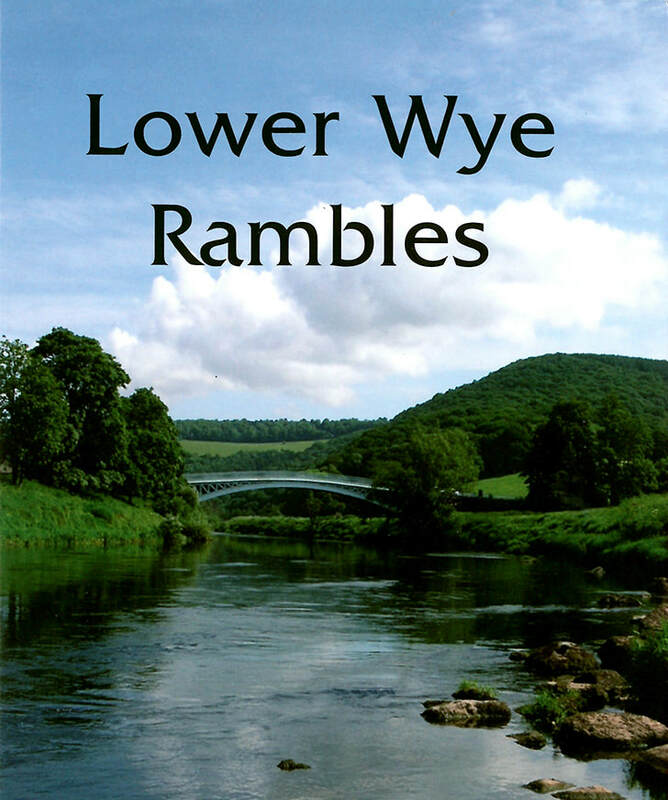 The Lower Wye Valley is beautiful at any time of the year - if the Festival dates aren't suitable have a look at our Events Diary and Walking sections for inspiration or maybe get hold of a copy of Lower Wye Rambles. When you are in and around Chepstow, or are planning a visit, please also check out our local business sponsors for local accommodation requirements, and entertainment or shopping opportunities throughout the year. Don't forget to mention where you saw their details! Chepstow lies on the border of Wales and England and is an ideal base for walking in Monmouthshire, the Wye Valley and Forest of Dean. With such a diverse landscape there is everything to offer the walker and visitor whether it be a riverside stroll or a challenging walk along a long distance trail. In April 2012 Chepstow received a feather in its cap by becoming the first Walkers are Welcome town in Monmouthshire. 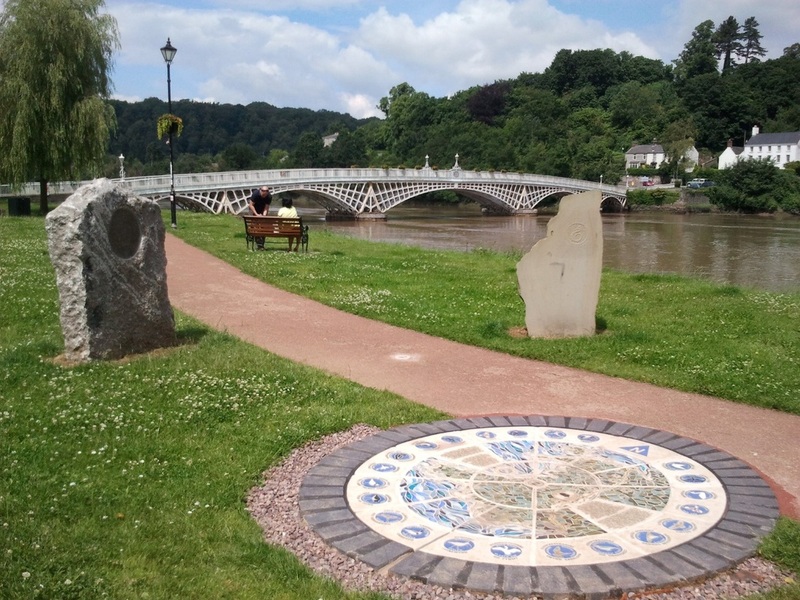 The area was already established as a destination for walkers but now Chepstow has achieved Walkers are Welcome status it reinforces our endeavour to provide the best walking experience for visitors and the local community alike. This has been recognised when we won the 'Best Social Enterprise' award in the Monmouthshire Business awards. 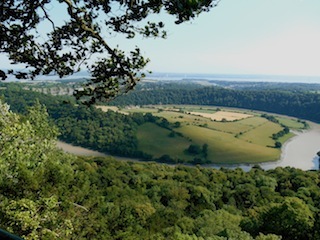 ​One of our favourite local walking guides and a source of inspiration for many of our walks, this is a gem of a guide which features 16 routes covering 90 miles of the Lower Wye Valley. For details of how to obtain a copy please click here. Do we really need to continue? Ok . . .
Walker friendly accommodation providers may offer special arrangements, perhaps baggage transport to your next destination, drying facilities, picnic lunches or complete walking holiday packages. Walker friendly local businesses who support the scheme can be identified by display of a unique sticker bearing the Walkers are Welcome Logo. Why not pop in you'll get a warm welcome. Check out our 'stay, eat and shop' page for details of our business partners, or Visit Monmouthshire for even more inspiration. 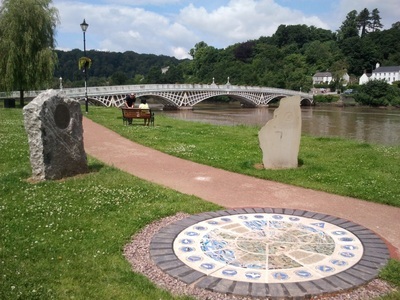 Chepstow Walkers are Welcome is a community group run by volunteers for the benefit of the local community and visitors to the Lower Wye Valley. 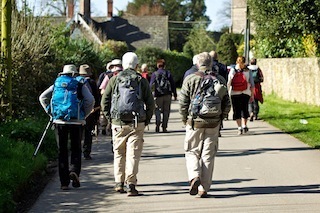 Our remit includes developing and promoting walking activities, maintaining footpaths, organising the annual Walking Festival and working with supporters and partners including Chepstow Town Council, Monmouthshire County Council and other like-minded organisations for the benefit of the recreational walking community. We are proud to be part of the Walkers are Welcome UK Network. There are always jobs to do and new projects to develop, so if you have any ideas or would like to be involved please get in touch.